The Czech Republic is a landlocked country, but Praguers know how to make the most of what they’ve got. Locals bring a beach atmosphere to the riverside and the many beer gardens that dot the city. Prague’s beer gardens are the perfect place to relax during the hot summer months. Best of all, you don’t even have to be a beer drinker to enjoy them! These open-air parks are perfect for picnics, sunbathing, dog walking, and people watching. Here’s the lowdown on my two favorites, Riegrovy sady and Letenské sady. 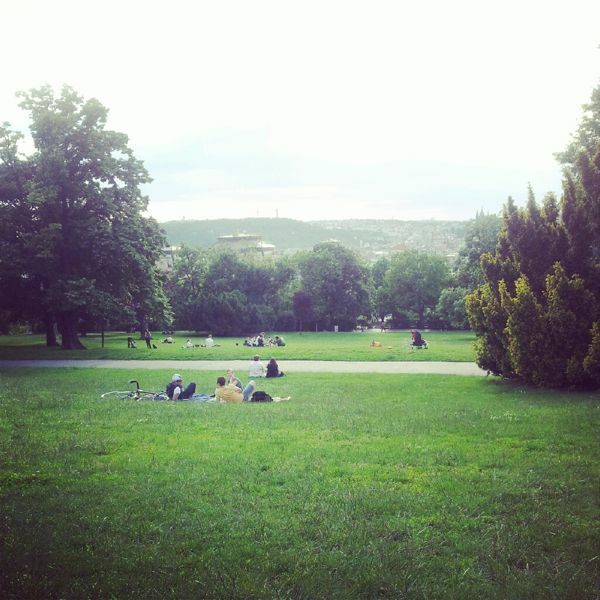 Located on a large hill in Vinohrady, Riegrovy sady is my favorite place to relax on a warm day. The park has both a pub and an open-air beer garden; the beer garden is a popular gathering place to watch sporting matches. After grabbing a drink and some snacks (the beer garden serves Czech pub food like klobasas and marinated cheese), find a grassy spot to sit and enjoy the view. 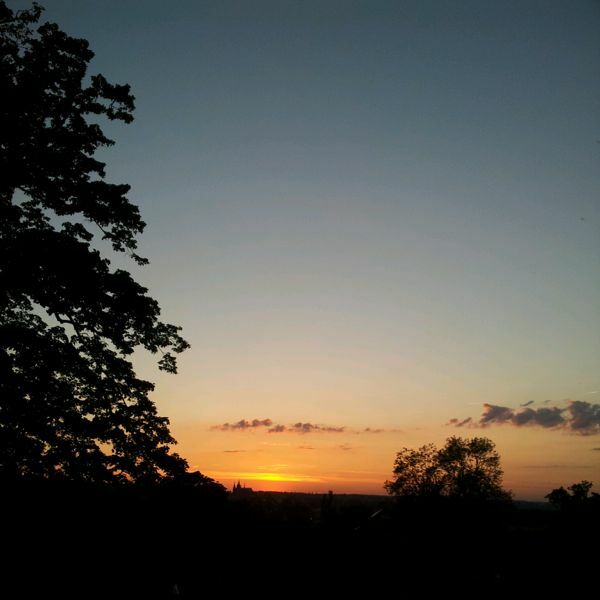 Because of its elevation, Riegrovy sady affords lovely views of the city. It’s also a beautiful place to watch the sun set. You can see some of the city’s most famous landmarks silhouetted against the fiery sky. 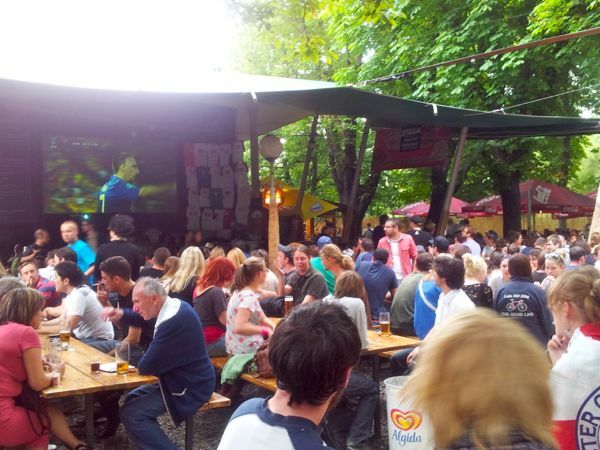 The beer garden in Letná Park is another popular outdoor gathering place. 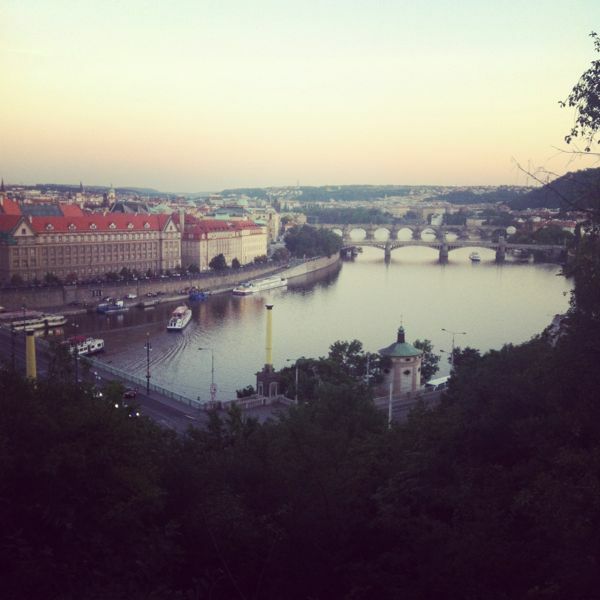 This expansive park covers a high plain overlooking the Vltava River. 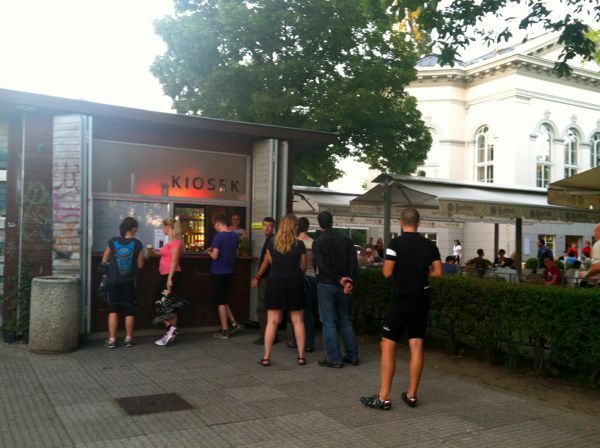 The beer garden has kiosks that serve drinks, snacks, and ice cream. You can also buy klobasas hot off the grill. There are plenty of benches for sitting, or you can relax in the grass. The views from Letenské sady are breathtaking: you can see an incredible panorama of the Vltava and its bridges, Old Town, and Malá Strana. I love the community atmosphere of a public park on a beautiful day. When spring finally came to Prague after a long, dark winter, it was delightful to see people emerge from their shells and enjoy the outdoors–throwing frisbees, playing catch with their dogs, and soaking up the sun. What are your favorite outdoor gathering places in your city? 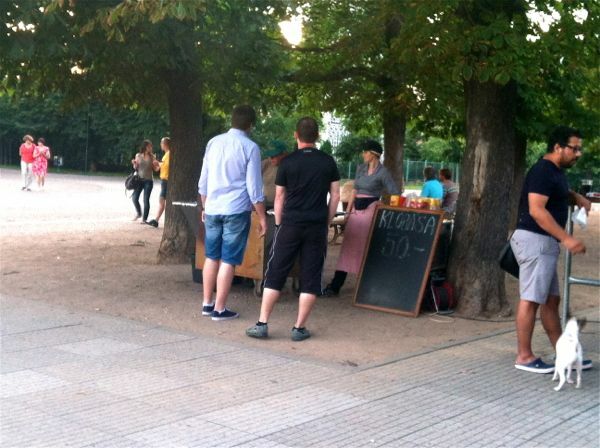 This entry was posted in Prague and tagged beer garden, czech republic, europe, letna, Parks, picnic, prague, riegrovy sady, summer.